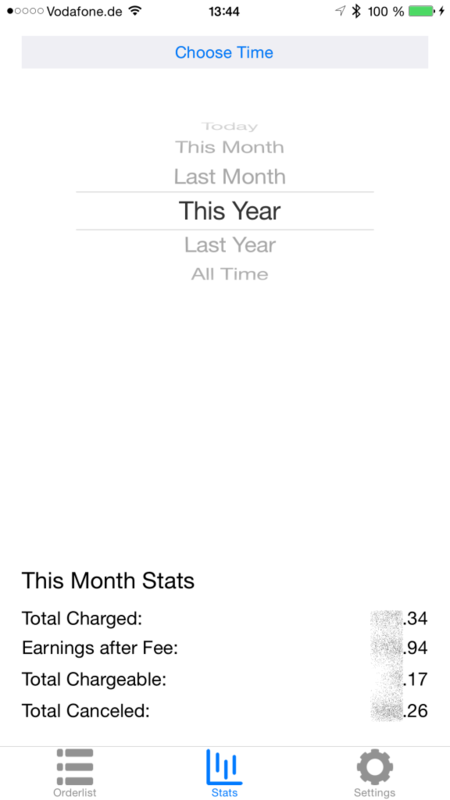 today Apple approved My App Statistics and it is available in the iTunes App Store now. This app was created in the hope that it would be useful to other developers who develop Android apps and sell them in the Google Play Store but use an iPhone as their daily driver. You can get all your sales data from Google Wallet and get them presented in the app including some graphs. The full description can be read on the product page here. You’re an app developer? You use an iOS device like an iPhone as your daily driver and want to have access to your Android App sales data from your Google Wallet Account? Then My App Statistics is just right for you. Being a developer myself I was in the need of having access to my Android App / Google Wallet sales data from my iPhone but don’t wanted to rely on the web browser. 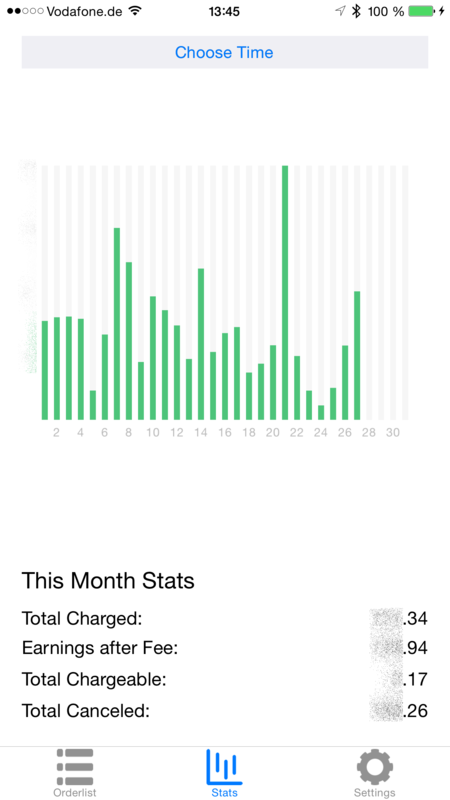 I wanted an app for my iPhone that enables me to get current sales statistics and a charting of my daily/monthly/yearly Android App sales data. In addition I don’t wanted to use one of the external statistics apps like AppAnnie, AppFigures or the like because I don’t wanted an external party to have access to my accounts. My App Statistics is what came out from this need. My App Statistics is compatible with iPhones with iOS version 8 or higher. – After installation you need to go into the in-app settings tab and press the “Show Google Auth View” button. A window will open where you must log in to your Google Account. If you use 2-factor authentication (which I strongly recommend btw) you will need to log in and then enter your second factor code. Make sure to check the persistance checkbox so that you don’t have to enter the code a second time. If all done press the “Dismiss Google Auth View” button. – After you have successfully logged in to your Google account go back to the “Orderlist” tab and pull down the view. The app will no connect to your wallet page and download your sales data. Depending on the amount of data this can take some time for the first download. All other downloads will go pretty fast. – Once the download is finished the “Orderlist” will contain all sales data for the current month. – Change to the “Order Stats” tab and choose a time frame to see you sales as chart. If you have any questions or comments on the app just write me an email. I usually respond the same business day.